ArchivesACT has a good selection of tourist brochures for public access. Most were produced by the various ACT Administrations prior to Self Government. The two brochures published here are the earliest in our collection. The first is 'The World's Newest, Fairest City Canberra' printed by the Federal Capital Press. This brochure is undated but is believed to have been published in the late 1920s. 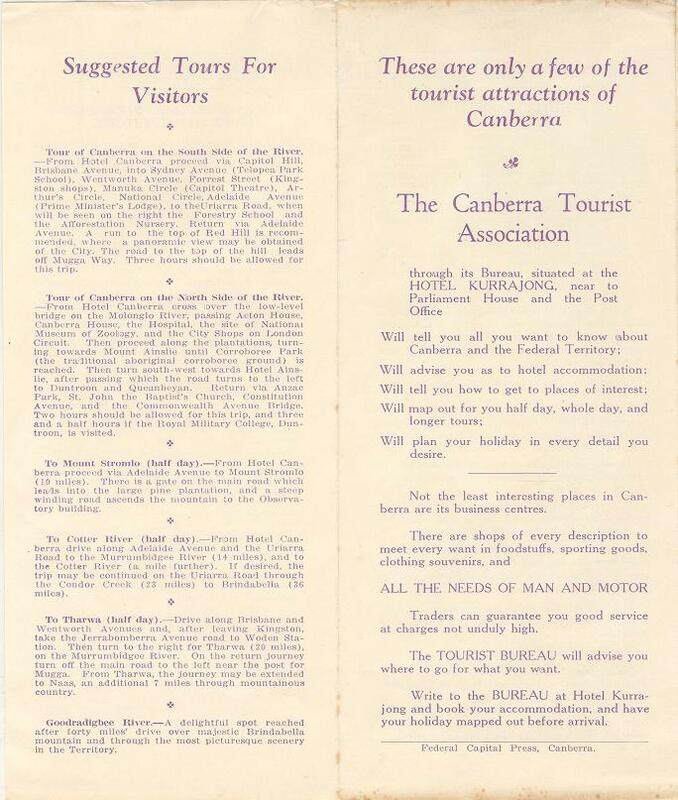 The second brochure is 'Tours Around Canberra' published by Pioneer Tours (now Greyhound Australia) sometime around 1950. It was found attached to the omnibus registration file for Pioneer Tours. 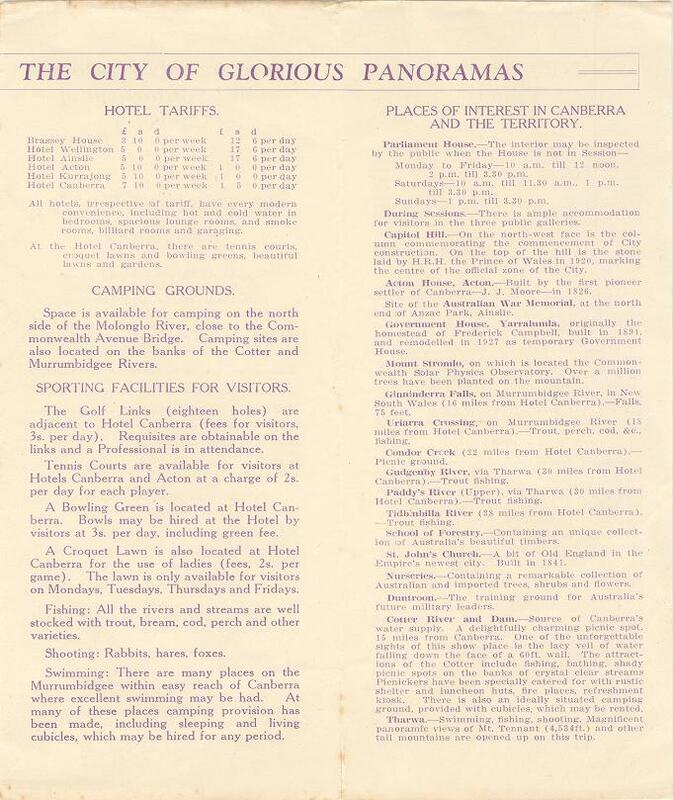 Unlike the first brochure, this one is appears to be aimed at Canberra residents as well as visitors planning day trips to the snow or the coast. Of interest is the photograph on the first page. This was the first National Library building in Canberra that operated from 1927 until 1968 when the current library by Lake Burley Griffin opened. This library was located on Kings Avenue where the Edmund Barton Building is currently located.